Epson launches the new EH-TW8300 home theater projector with 4K content support and HDR.The new model will replace the previous Epson home cinema projector EH-TW8200.The newly designed home cinema projector delivers 2,500 lumens of color brightness and 2,500 lumens of white brightness. The projector is engineered with up to 1,000,000:1 dynamic contrast ratio and displays high dynamic range content, with eye-popping bright colors and deep, dramatic ultra blacks for a fully immersive large-screen experience.With Epson EH-TW8300, you can discover a whole new way to watch movies — the way filmmakers intended! Epson’s 4K Enhancement Technology delivers astonishing picture quality. Now every subtle intricacy is captured — even your most-loved films will offer something new. Plus, Epson’s Detail Enhancement Technology refines surface details for true-to-life images that pop off the screen. Users can adjust levels of sharpness and detail enhancement for optimal viewing. This isn’t just a new way to watch movies — it’s the best way. 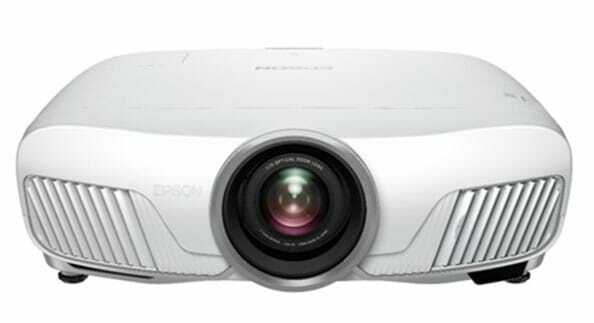 “Epson projectors are known for their vibrant and realistic images.Our3LCD technology ensures equal color and white brightness so images can be up to 3 times brighter than competing technologies. This new projector, which is engineered to handle 4K UHD content, is a breakthrough in projection technology. With HDR support, it’s easier than ever for consumers to enjoy the latest content with high dynamic range to create an amazing cinematic experience. 2D-to-3D Conversion– Easily transform 2D images to spectacular 3D for unlimited 3D content.